A presentation out of North Carolina that discusses the design of NC-54 with the focus on maintaining good signal progression. This presentation was tailor made for me. 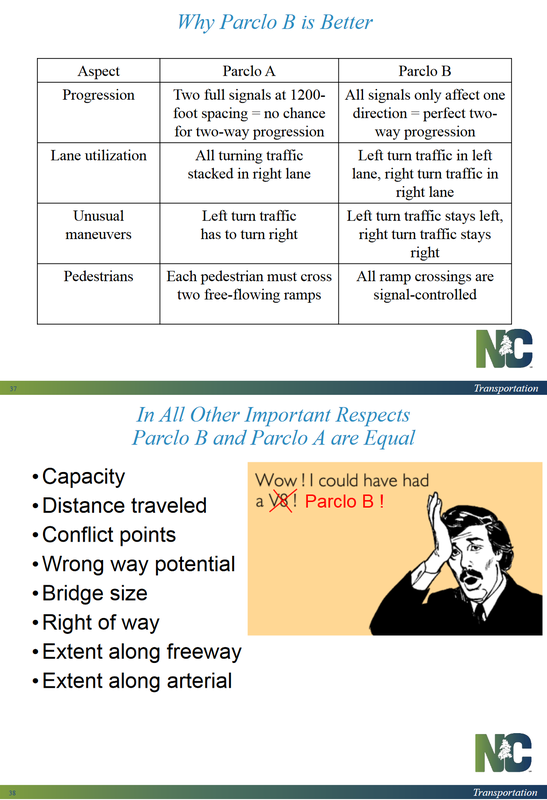 It even has slides explaining "Why Parclo B is Better". This presentation was tailor made for me. That's an understatement. If I didn't know better, I'd say you created the presentation! Only thing I disagree with is the "all crossings signal-controlled" bit. Typical B4's, with merges or yields for the off-ramp, require drivers to give way to pedestrians. The signalised variation (without free-flow ramps) is less common, and usually more expensive to build since cloverleafs are more easily modified into the traditional free-flow design (and are often the reason the B4 exists -- prior cloverleafs). FWIW, this is by far the best interchange in the city. I have never been stuck in traffic on it -- ever. Can't say that for any other interchange. That's a SPUI with two loops. There's one with one loop at the south end of the Liberty Tunnel in Pittsburgh. Wendy's would also be inbetween an off-ramp and a freeway. Convenient for roadgeeks, but probably frowned on by FHWA. Jesus, that's complex! 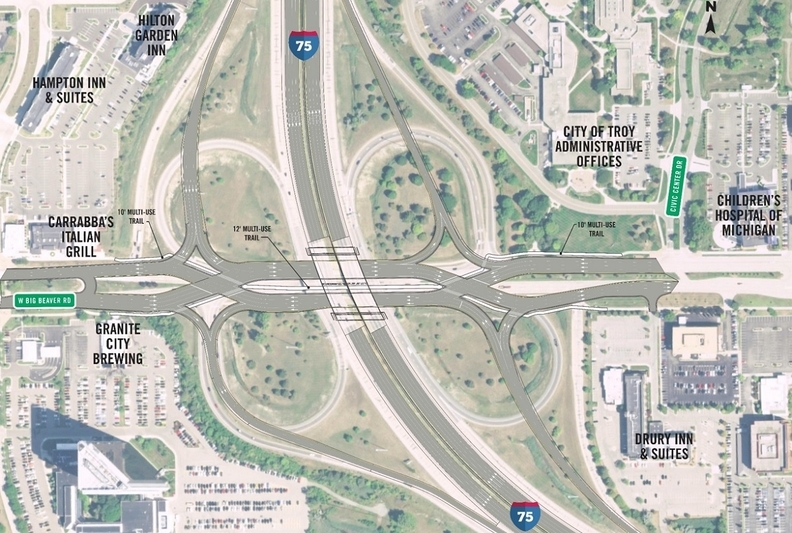 Not too keen on those awkward merges from the overpass onto US-64, though. Does look to be pretty easy to configure for pedestrian crossings, however. Yeah I wonder if they're thinking of them as "ramps", notice they have signals. I wish their image would have ped crossings in another color. Also this isn't an interstate highwayman, so I'm not sure how much FHWA has to approve. what a way to be messup a nice overpass with the left turns. Not sure exactly what you mean, but no matter how they're configured, overpasses can seriously improve the flow through an area. yes but when other plans have them with ramps why build it like the kills grade separated flow on the main line. 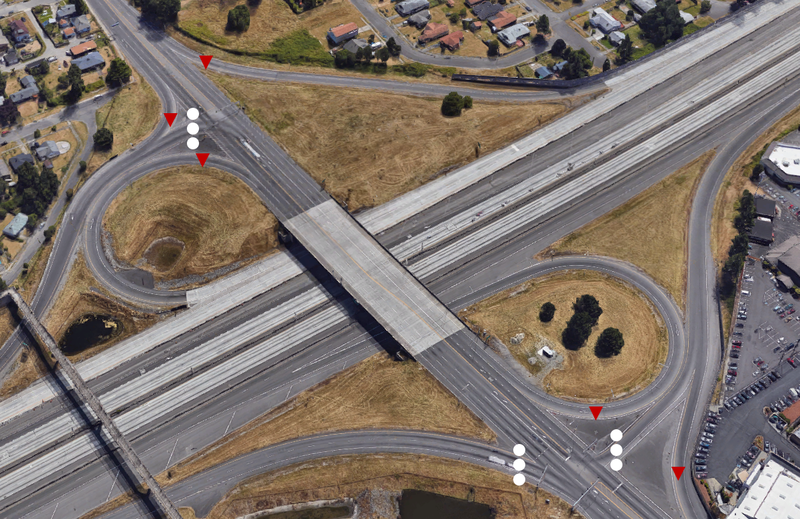 Service interchanges require all crossing maneuvers to be on one road, which helps traffic on the mainline, but really screws with the arterial (especially tight interchanges with poor storage capacity). The interchange above really doesn't even need signals, so it's actually pretty clever. I also don't get the feeling that US 64 is supposed to be a full-blown freeway through this area, so evening the flow between the two roads is actually pretty smart. Of course, if NCDOT did decide to make 64 free flow in the future, it is easily converted into a sort of Parclo A4 interchange (make the NE and SW roads two-way, and remove the left turns from Lake Pine Dr), a pretty high capacity interchange (so long as there's enough distance between the off-ramps).